Is designed to provide specialized services and accommodations that assist students with documented physical, psychological and learning disabilities reach their maximum potential while achieving their educational goals. Students with disabilities must "self identify" and request services from DSP&S for services to be initiated. Eligible disabilities include Attention-Deficit Hyperactivity Disorder (ADHD), deaf and hard of hearing, autism spectrum, learning disability, blind and low vision, acquired brain injury, mental health, intellectual, and physical disability and any other disabilities which limit one or more major life activities and which imposes an educational limitation (Title 5 Regulations, Section 56032-56044, 56002). Students wishing to participate in special programs and services offered through the program are required to complete an intake interview and, if necessary, additional testing to establish eligibility. All required program paperwork and disability verification forms must be completed prior to participation in programs and/or services offered by the DSP&S. 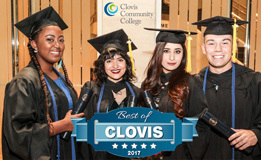 Apply to Clovis Community College. 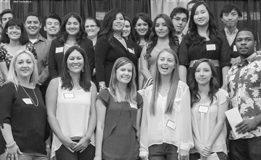 Speak to a Clovis Community College Counselor for Assessment. 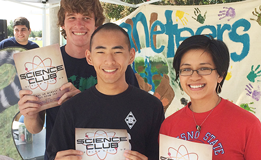 Complete the Clovis Community College Online Orientation. Gather Disability Documentation (i.e., IEP, 504 plan, ITP, etc.) and/or have an appropriate medical professional complete a Disability Verification form. Mental Health Disability Verification and/or Medical Disability Verification. Download, print, and complete the DSP&S Initial Intake Packet. Call 559-325-5230 to schedule an intake appointment with a DSP&S counselor to verify disability and discuss disability related programs, services and accommodations. Applicants should print and complete the DSP&S Initial Intake Packet prior to attending their intake appointment. In accordance with NVRA Section 7, the CCC DSPS office must offer voter registration services. Please, register your vote here. The following are academic accommodations available through Disabled Students Programs & Services (DSP&S). Academic accommodations are assessed using the medical documentation provided and are determined by the DSP&S counselor based on the disability verified and the resulting educational limitations. The following is a brief overview of the responsibilities students using Disabled Student Programs and Services (DSP&S) must follow and the service limitations within DSP&S. For details about DSP&S student responsibilities and service limitations please consult your copy of the DSP&S Policies and Procedures form contained in the DSP&S Initial Intake packet. Students must possess the ability to respond appropriately to questions, follow directions, and demonstrate the potential to profit from instruction. Students are expected to follow the Code of Student Conduct established by the college (a copy of the Code of Student Conduct and Student Bill of Rights is available in the Student Services Center). Students are expected to show the proper respect for faculty, staff and other students. Rudeness, name-calling and obscene language or gestures will not be tolerated. Students must demonstrate disability-related appropriate adaptive behavior (Title 5 Regulations, Section 56004). Students receiving special services (e.g., interpreting, test assistance) must notify the Disabled Student Programs and Services office of their absence prior to the time these special services are scheduled. Two failures to do so may result in the suspension of these special services. Students must demonstrate annual measurable academic progress (Title 5 Regulations, Section 56024). Failure to do so may result in the suspension of service. Students are to assume personal responsibility for taking any medications. The individual student and/or other non-college agencies shall be responsible for the provision of personal attendant care. Disabled Student Programs and Services staff will not provide this service [Title 5 Regulations, Section 56000 (d)]. The learning disability program at Clovis Community College Center includes two main service components. 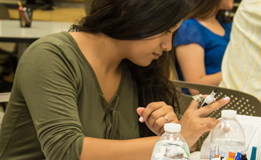 First, the learning disability specialist conducts assessments of students and/or reviews previous testing to determine eligibility for services utilizing the Learning Disability Eligibility Model established by the state chancellor’s office. For students who do not qualify services under the Learning Disability criteria, the learning disability specialist may refer such students for further assessment for disabilities such as ADD or ADHD. Second, consultation with students and the DSP&S counselor is done to recommend appropriate accommodations and to establish study strategies. Students may meet individually with the LD specialist or in small groups to practice study strategies.